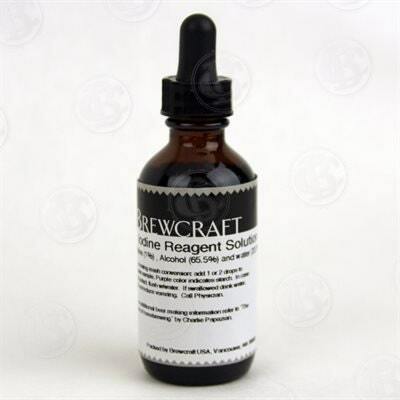 Iodine Reagent is used in home brewing to test starch conversion in grain mashes. The solution will turn a purple hue if there is presence of unconverted starches in your mash. Only 1-2 drops are needed for this. We combine shipping and ship internationally, please inquire for a shipping quote!